J. Warren Smith, Associate Professor of Historical Theology, is interested in the history of theology broadly conceived from the apostles to the present, but his primary focus is upon patristic theology. His book, Passion and Paradise: Human and Divine Emotion in the Thought of Gregory of Nyssa (Crossroad, 2004) is a study of Nyssen’s ascetic theology as the intersection of his anthropology, soteriology, and eschatology. Central to this project is Nyssen’s view of the sublimation and transformation of human emotions and their role in his theory of epectacy, i.e. the soul’s eternal movement into God’s infinite and eternal being. The impetus behind the book was Dr. Smith’s concern for the question of realized eschatology: how can we in the present age live into the eschatological reality inaugurated by Christ’s resurrection? His recent book, Christian Grace and Pagan Virtue: The Theological Foundation of Ambrose's Ethics (Oxford, 2010), examines how Ambrose's interpretation of Paul and his understanding of sin's corruption of human nature and of baptismal regeneration provides the condition for the Christian's cultivation of virtue. The larger thesis is that Christian ethics can never stand apart from theology, specifically the soteriological role of grace in healing human nature and equipping the Christian for the life of virtue. Dr. Smith’s current project is an outgrowth of his work on Ambrose's theology. Having examined Ambrose's theological foundation for the possibility of the virtuous life, Dr. Smith examines how the theology transforms early Christian conceptions of virtue. This project, tentatively entitled Transforming Greatness: Ambrose, Augustine, and the Perfection of Virtue, traces the Christian critique, appropriation, and adaptation of the Aristotelian ideal of the Great-Souled or Magnanimous Man. Since Aristotle, the concept of the magnanimous or Great-Souled man was employed by Classical and Hellenistic philosophers to describe individuals who attained the highest degree of virtue. So naturally when early Christians drew on the language of Classical and Hellenistic virtue theory to speak of the Christian moral life, they also used the language of magnanimity. Yet the pagan language of virtue and magnanimity could not be appropriated whole cloth; the ideal of the magnanimous man had to be baptized so as to conform with the Christian theological understanding of righteousness. Transforming Greatness is a work in the history of Christian theological ethics that examines how Ambrose's and Augustine's theological commitments influenced their different critiques, appropriations, and modifications of the language of magnanimity. Thus the project engages patristic scholars interested in the development of Christian theology, philosophers and constructive theologians, such as Alasdair MacIntyre, Stanley Hauerwas, and Jennifer Herdt, who work in the field of virtue ethics, and Classicists interested in the Christian transformation of pagan culture. Research projects on the horizon: 1) "Not as those without hope": Toward a Christian Theology of a Death and Consolation will be a constructive project that brings into conversation patristic and contemporary theologians on the nature of death and hope in order to understand how Christian may live in the shadow of death and confront the death of loved ones in a way that reveals the distinctiveness of a life lived in hope of the resurrection. 2) Plato and Christ: Platonism in Early Christian Theology will examine the significance of the tradition called "Christian Platonism" and is significance for Christianity in a post-modern age. 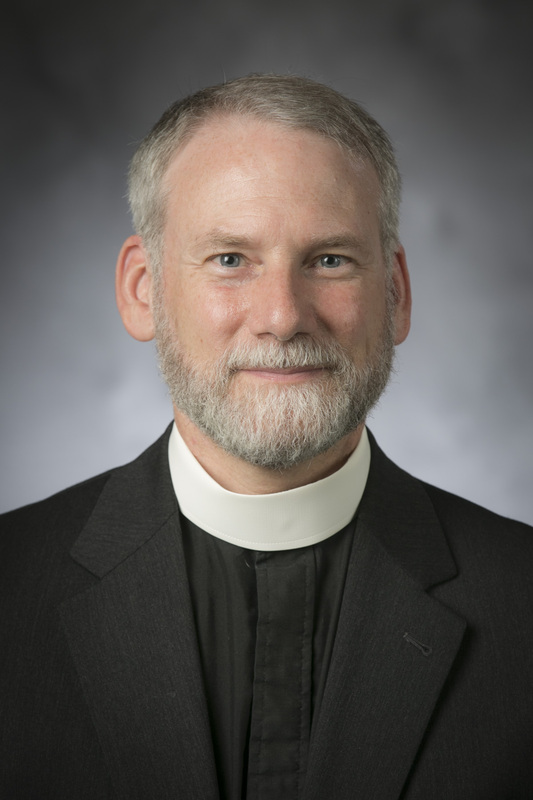 Dr. Smith is also a United Methodist minister from the North Carolina Annual Conference. He lives in Durham with his wife, Kimberly Doughty, who is a school social worker, and their children, Katherine and Thomas. His interests outside of Duke Divinity School include hiking, studying the American Civil War and 19th century British history, and ACC basketball (men’s and women’s). In October 2003, Crossroad Publishing Co. released, Passion and Paradise: A Study of Theological Anthropology in Gregory of Nyssa, by J. Warren Smith. Visit Amazon.com to purchase Smith's book. Elizabeth Clark, The Origenist Controversy The Cultural Construction of an Early Christian Debate. Brian Daley, The Hope of the Early Church: a Handbook of Patristic Eschatology. "Youth Ministry in American Methodism's Mission," Methodist History vol.19, no.4 (July 1981) pp.224-230. "Macrina, Tamer of Horses and Healer of Souls:Grief and Hope in Gregory of Nyssa's De Anima et Resurrectione," Journal of Theological Studies, NS, Vol. 52, pt. 1 (April 2001) pp.37-60. “Suffering Impassably’: Christ’s Passion in Cyril of Alexandria’s Soteriology,” Pro Ecclesia Vol. 11, no. 4 (Fall 2002) pp.463-83. “John Wesley’s Growth in Grace and Gregory of Nyssa’s Epectasy: A Conversation in Dynamic Perfection,” Bulletin of the John Rylands UniversityLibrary of Manchester 85.2-3 (Summer and Autumn 2003) 347-58. "'A Just and Reasonable Grief': The Death and Function of a Holy 'Woman' in Gregory of Nyssa's De Vita Macrinae" Journal of Early Christian Studies 12.1 (Spring 2004) pp.57-84. “Martyrdom: Self-Denial or Self-Exaltation? Motives for Self-Sacrifice from Homer to Polycarp A Theological Reflection,” Modern Theology 22.2 (April 2006) pp.169-96. "Ambrose, Paul, and the Conversion of the Jews," Ex Auditu 25 (2009): 175-98. "Desire." In The Brill Dictionary of Gregory of Nyssa, edited by Lucas Francisco Mateo-Seco and Giulio Maspero; translated by Seth Cherney (Leiden: Brill, 2010). Christian Grace and Pagan Virtue: The Theological Foundation of Ambrose’s Ethics (Oxford: Oxford University Press, 2010). "Cappadocian Fathers." In The Cambridge Dictionary of Christian Theology, edited by Ian McFarland et al. (Cambridge University Press, 2011). "The Trinity in the Fourth Century Fathers." In Oxford Handbook on the Trinity, edited by Giles Emery and Matthew Levering (Oxford University Press, 2011). "Divine Ecstasy and Divine Simplicity: The Eros Motif in Pseudo-Dionysius's Soteriology." Pro Ecclesia 21.2 (Spring 2012): 211-27. Nov. 2001 “Impassible Suffering: Christ’s Passion and Divine Impassiblity in Cyril of Alexandria,” at American Academy of Religion, Denver, CO.
May 2001 “Augustine’s Reading of Psalm 51 and the Transmission of Concupiscence,” at The North American Patristics Society, Chicago, IL. May 1998 “Macrina, A Breaker of Horses: The Problem of Grief in Gregory of Nyssa’s De Anima et Resurrectione” at North American Patristics Society, Chicago, IL. Learning Theology with the Church Fathers by Christopher A. Hall Church History 72.3 (Spring 2003) pp.645-7. Ambrose’s Patriarchs Ethics for the Common Man by Marcia L. Colish, Pro Ecclesia 15.3 (Summer 2006) pp.358-62.